Before St. Louis Park first built the Rec Center in 1971, the closest thing to it was the Community Center, located at 6121 West Lake Street. 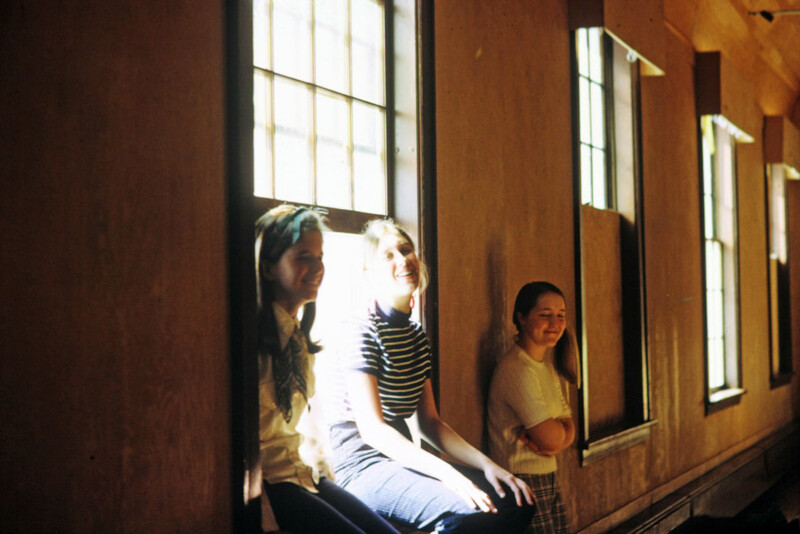 Although there is no sign of it today, it was a bustling place where classes, dances, ice skating, basketball, and many other activities took place. Any additions/corrections, stories, or photos to share? Please contact us! Dorothea Nelson, Superintendent of Recreation, sets the stage in the following piece, written in October 1955. For years the St. Louis Park Recreation Planning Committee had kept some form of recreation alive through various donations and grants from WPA, etc. In April of 1948 — at the request of the Planning Committee — a year-around Recreation Superintendent was hired. The allocation came from the St. Louis Park Community Fund who then had their own drive in the Park. The School Board and Park Board contributed money to run a limited Playground and Municipal Athletic Program. This arrangement continued (with increasing allocations) until 1955 when a RECREATION COMMISSION came into being. This was possible because of the vote of the people at an annual School Board election in May of 1954. For seven years the Recreation Department functioned under the guidance and direction of the RECREATION PLANNING COMMITTEE. During the last year it has been operating under the RECREATION COMMISSION — a legal body created by an ordinance adopted by the School Board and the City Council. It is composed of 5 members — one appointed by the School Board, one by the City Council and one by the Park Board with two members at-large. In 1950 the old Holy Family Church was for sale for $400. 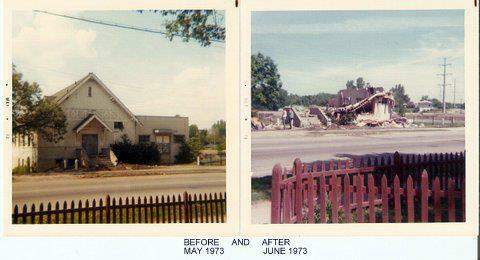 The Park Board purchased it and moved it for $2,000 to park property at 6212 West Lake Street where it now stands. In the next two years the building got a foundation, windows, plumbing, light, heat, etc. For the amount of around $10,000, the City now has a Community Center whose estimated worth is $35,000. We then asked for donations to furnish the building. Civic groups and individuals responded generously. The St. Louis Park Woman’s Club, the Lion’s Club and the St. Louis Park Community Fund gave the big start — then the Golden Agers swung into line. The list of donors to date is as follows: American Legion, War Mothers, Brookside Garden Club, Community Fund, Mrs. Sykes, John Billman, Mrs. Harriet Roseberry, Chester Hyland, Mrs. Janes, Thompson Lumber Co., Citizen’s State Bank, Sam Segal, Ecklund and Swedlund Contractors, Square Dancers, Dr. Walter Johnson, Mr. E. C. Foss and Clifford Lucian. A common project in a fast growing community is a fine thing to weld people together. A hockey rink has been added and the building is now practically complete. 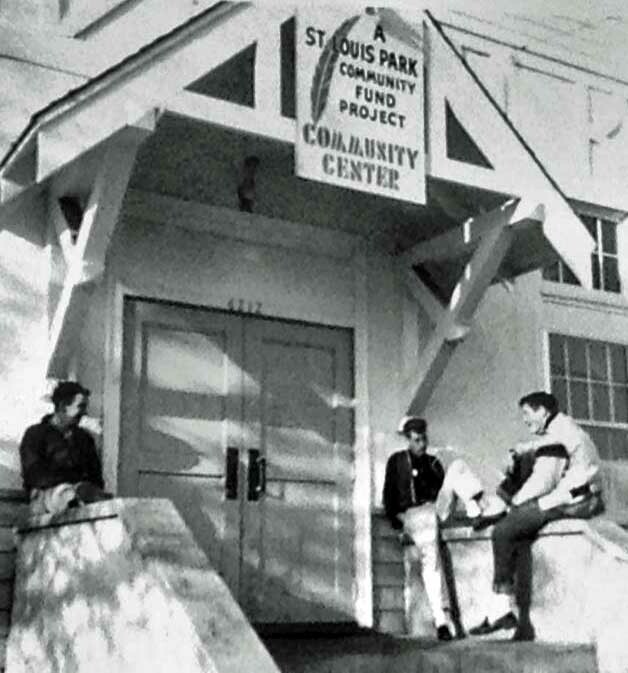 Although the land for the St. Louis Park Community Center was purchased as tax-forfeited land in 1944, discussions about the Center started in earnest in 1949. A location was chosen on land on Lake Street that the State had given the Village for drainage purposes in 1944. In 1950 citizens came together to draw up plans and raise funds, but then the Federal government ordered no new construction for “recreational, amusement or entertainment purposes.” This also put the kibosh on a new stadium for the Minneapolis Millers, who had planned to build on Wayzata Blvd. at Zarthan, across from McCarthy’s Café. 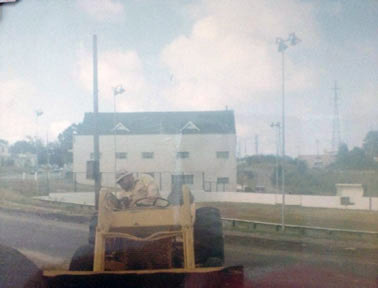 A solution was found when the city bought the old Holy Family Church for $495, and it was moved (Doepke Building Movers) to 6212 W. Lake Street in 1950. One acre had been obtained from the State in October 1944. After two years up on blocks, a foundation, windows, plumbing, light and heat were added, and furnishings were donated or paid for by such groups as the War Mothers, Sixty-Plus Club, Brookside Garden Club, Chester Hyland (who donated a juke box), and John Billman, who donated a piano. 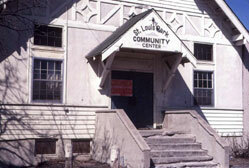 The building was opened as the St. Louis Park Community Center in November 1953. Activities at first were confined to crafts. Marvin Lares was listed as the head director and Carmelita Haberl as the girls’ director. The electorate for the first time voted to support a Recreation Department in a school board election. Thus in 1955, the Recreation Commission came into being. At this time, the Community Fund changed the recipient of its funds from the Recreation Department to the Community Center. In 1956 the Parks and Recreation Departments were combined and the Recreation Commission was dissolved. A 75 by 25 ft. basement was added to the Community Center, as well as two hockey rinks. The Echo reported that attendance was 1,962 in February 1955. 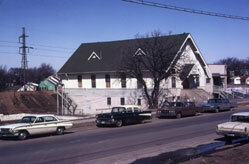 After a fire, a two-story addition was added to the Community Center in August 1956. 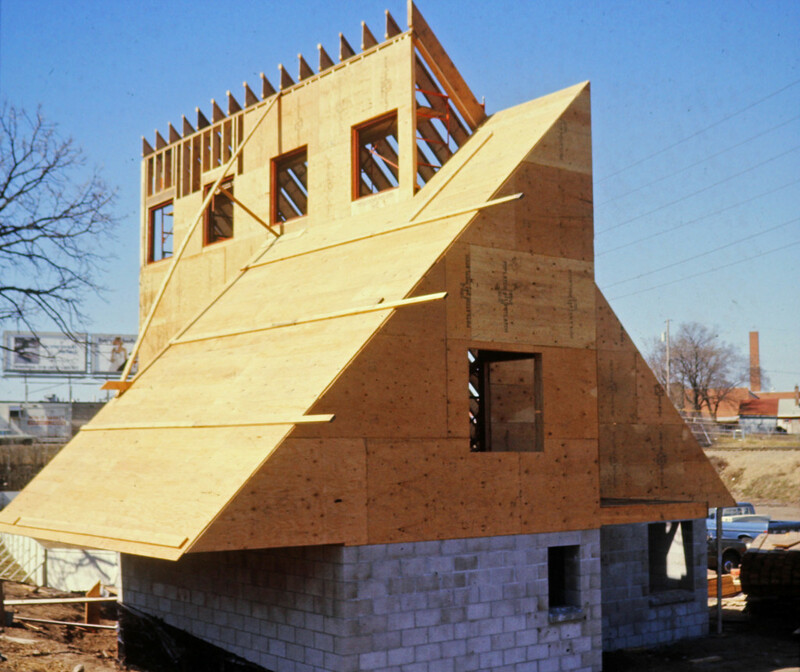 It was built by contractor Jerry Holt and financed with insurance money and a donation of $2,750 from Ecklund Swedlund home builders. The Community Center was refurbished and re-stuccoed. Three summer record hops at the Community Center were planned for 1959. Patched together as it was, the old building was in bad shape, with crumbling ceilings, inadequate plumbing and heating, and an electrical system that could only take four or five lights at a time. The Center had become too small for the needs of the community. Nevertheless, it was heavily used. Activities included basketball, bumper pool, ping pong, preschool, dance lessons, hockey, and dances. There was a little pond for turtle races and a swamp for rafts. 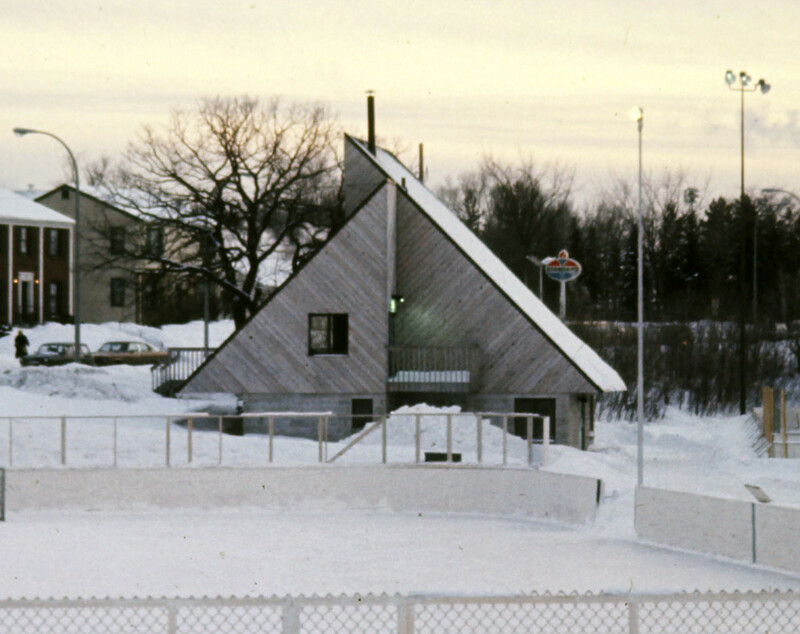 In 1966 a warming house was built next to the ice rink. The Community Center closed down in December 1969 and condemned in 1970. The contents were sold off and the building was demolished in 1973. 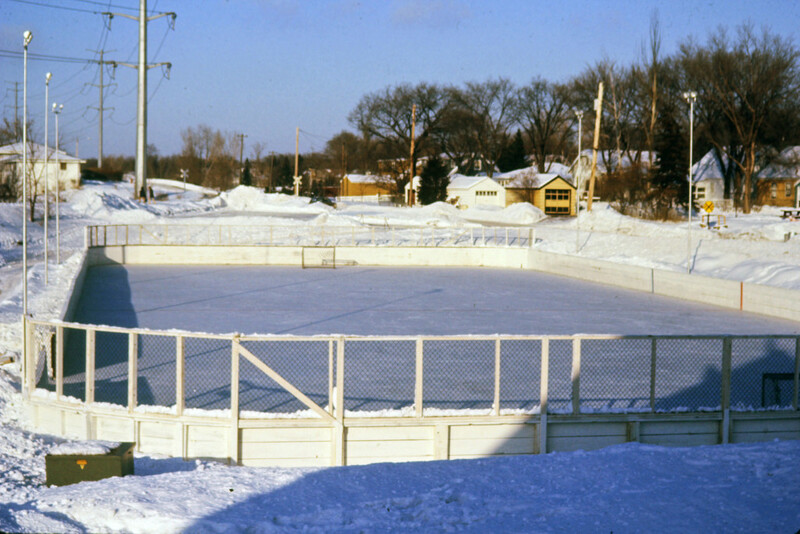 The ice rink remained for many years. The warming house was removed in 2006.